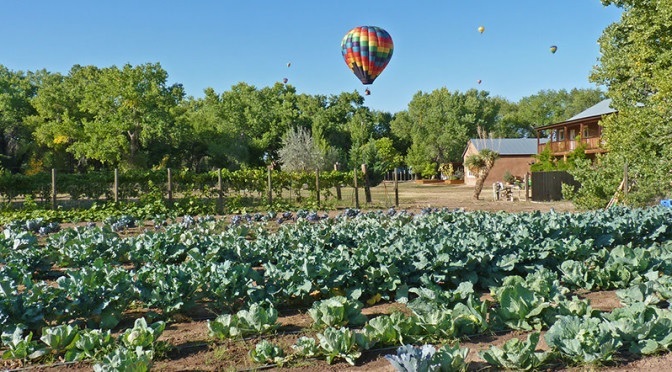 Applications are now being accepted for the NMSU Sandoval County Cooperative Extension Master Gardener Training Program for 2016. The program is designed to train volunteers to educate and inform members of their communities about appropriate, sustainable, and environmentally friendly gardening techniques. The 16-week course will begin on January 12, 2016 and end April 26, 2016. Classes will be held every Tuesday from 1:00 p.m. until 5:00 p.m. at the Sandoval County Extension Office located in the Sandoval Court House in the Town of Bernalillo. To become certified as a Sandoval County Master Gardener, you are required to complete the 40 hours of classes which includes testing and 30 hours of volunteer work. The Master Gardener Volunteer Training Program has limited seating with first priority given to Sandoval County Residents. The deadline to apply is December 11, 2015. The cost is $125. The class fills quickly with a wait list so early applications are advised. Click here for details. An information meeting for those interested in the Master Gardener program will be held on Thursday September 10 from 6 to 7 pm at the Sandoval County Cooperative Extension Office, 711 S. Camino del Pueblo, Bernalillo. Download the printable flyer with more information here. New Mexico State University is an equal opportunity/affirmative action employer and educator. NMSU and the U.S. Department of Agriculture cooperating. If you are an individual with a disability who is in need of an auxiliary aid or service to participate in the classes, please call (505) 867-2582 during the application process.